In part to prove that I am really "busy" and to update you on the past activities, here is a summary of my "work". 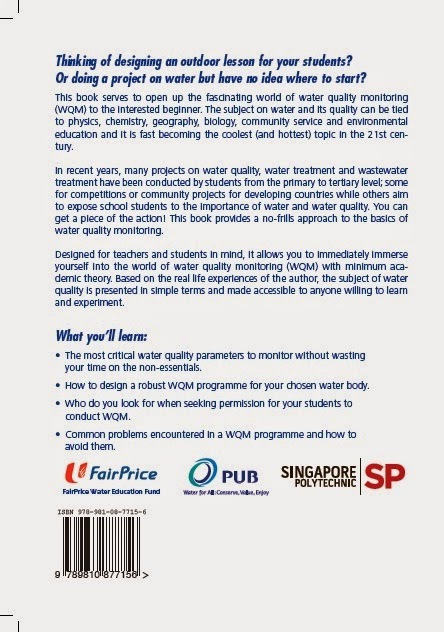 Conducted "Freshwater quality and biodiversity" course for Crescent Girls, Henderson Sec Sch, Clementi Woods SS, Queensway SS. It was back to a tributary (sort of a naturalised drain) of Sg Ulu Pandan for more water quality testing and bug hunting. Conducted a round of 6-day intensive AEM (advanced elective module) "Water quality and pollution". Figure: On first sight, nothing wrong with the scene. But if you look closely enough, lots of people are looking down on their pants and shoes. This is what happens when you venture out in the wilderness in the rain and through knee high vegetation. All manner of creepy-crawlies are out their homes, latching on to the hapless passer-by (i.e. us). 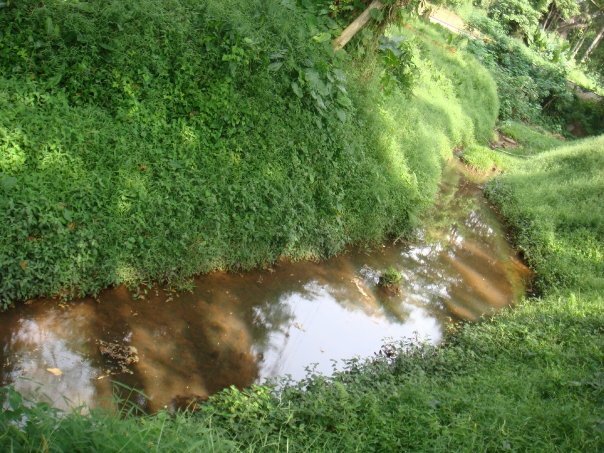 Figure: Part of Ngee Ann Stream. Looks like another canal except that this used to be a natural stream with thick secondary forest on both edges. See next figure. Figure: An unusual find - a catfish struggling against the current in the "canalised" Ngee Ann Stream. Why was it doing so? I have no idea. Perhaps it should have just flowed along with the tide of change as what the rest of the stream did when it gave way to "development". Figure: Due to the earlier heavy rain (what else is new in Singapore? ), the whole canal was flooded, preventing the students from sampling the water (too dangerous). Figure: The same part of the canal as the figure above but in drier times and more than a year back. Figure: I simply can't resist putting in this routine group photo. Must show that the participants are in good spirits, right? Figure: Only 1 photo to show you here - the super group photo with organisers, student helpers and participants. Amidst the tight schedule, I managed to sneak in a round of WQM with Team Seagrass at Chek Jawa. Figure: On this rare sunny June morning, my students prepared their equipment for WQM. 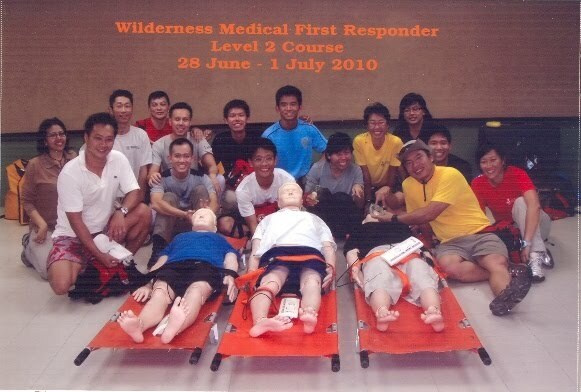 To top it off, I attended the 4-day Wilderness Medical First Responder (WMFR) Course by OBS (Outward Bound Singapore) on Pulau Ubin. More on this in a later post. Ah yes, the problematic kid on the block with regards to water quality - Pasir Ris Beach. 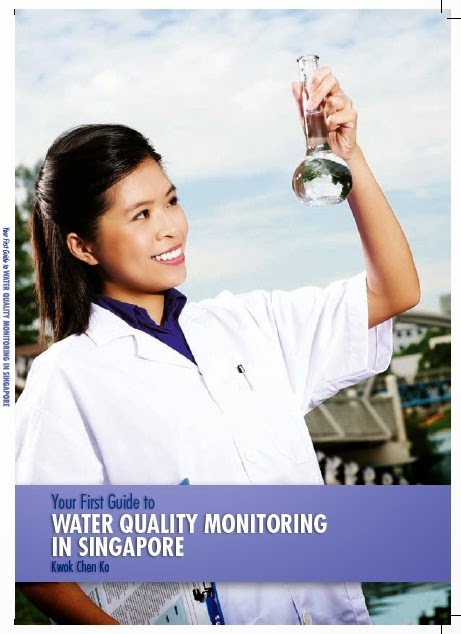 (The latest advisory on its "fair" water quality is found here.) We checked out this notorious locale on this rainy July morning. Perhaps unknown to most people, this stretch of sand hosts 2 significant patches of seagrasses even though they are not monitored by Team Seagrass. (Some of the Team's members do however check out the seagrasses here in their own capacity.) And since there are seagrasses here, my team will of course be interested in the WQ. Figure: The 2nd patch of seagrasses near Sg Tampines. I was told that there is a smaller patch further west near the end of Pasir Ris Park. 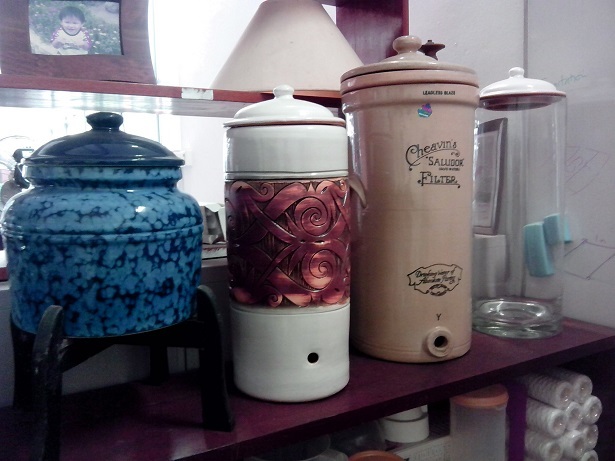 We did not check this one out though.